In 1898 a new and sudden attack put the solidity of the Recollection through a most difficult test: 34 Religious died at the hands of the Philippine revolutionaries and another 84 were flung into jail. The rest took refuge in Manila, or flew precipitately to Spain. In a few short months the Congregation -which had 80% of its active members in the Philippines- found itself with three hundred of its Religious unemployed and without hope. Only the most magnanimous were able to react, and, through their efforts and abnegations opened to the Congregation broader horizons. By the middle of 1899 there were already 40 Religious in Panama, Venezuela and Brazil. Others organized apostolic centres in Spain and were charged with the responsibility of re-orientating the future of the Congregation. Little by little hope was being reborn. 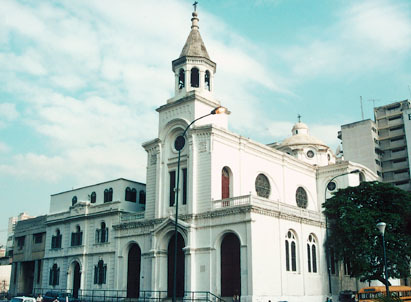 In 1904 the novitiate reopened following the creation of the Province of Nuestra Senora del Pilar (1907); and the General chapters -interrupted since 1829– were re-established.